Innova Wellness Spa can treat unwanted leg veins without resorting to painful, risky surgeries that can leave behind excessive scarring. If you suffer from varicose veins, you’re not alone. As we advance in age, time begins to show its effects. Usually appear dark purple or blue in color. Usually appear bulging and twisted, like vines or chords jutting out of the skin on your legs. Innova Wellness Spa incorporates cutting edge technology. We use the Cutera xeo® fully customizable workhorse to deliver over 20 skincare, beauty, and vascular treatments without resorting to surgical procedures. An intense, focused beam of light treats the varicose vein in question. This laser heat damages the vein, either collapsing or promoting scar tissue formation. Scar tissue closes the vein, which then loses its blood source and dies. The dead vein is absorbed by the body’s biological processes. Innova Wellness Spa offers simple, non-surgical laser leg vein treatments. We can treat spider veins and varicose veins successfully. 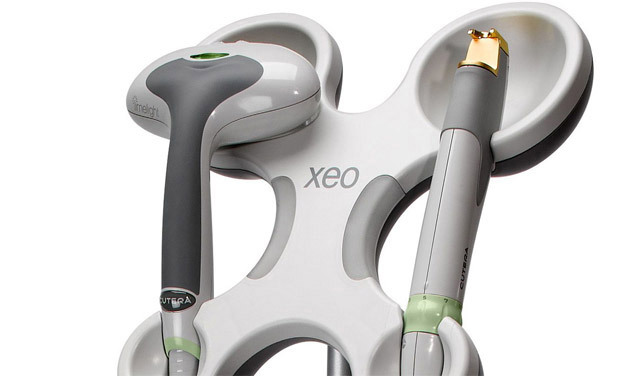 Xeo® operates on specific wavelengths, which precisely seals the blood vessel while preventing harm to surrounding skin structure. Sessions are spaced 4-8 weeks apart for optimum impact. The procedure is most effective when the skin has not been recently tanned and isn’t exposed to direct sunlight for extended amounts of time. Contact Innova Wellness Spa today to learn more about our laser leg vein removal treatments in Ocala, FL. During your initial visit, we’ll determine the best course of treatment to achieve your aesthetic enhancement goals.